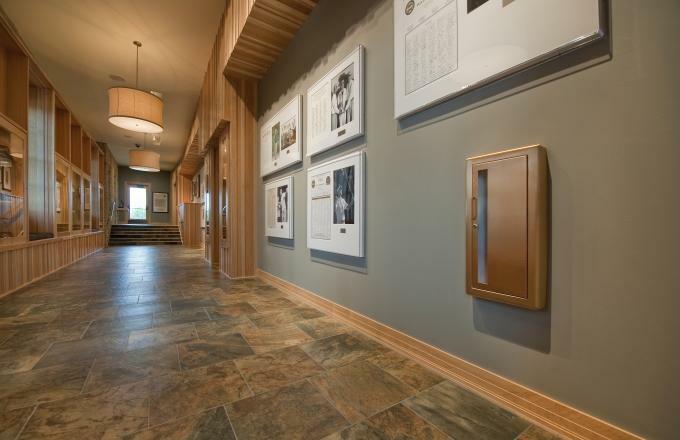 50,000 Square Foot Clubhouse at Hazeltine National Specified Bronze Cavalier Cabinets to Complement the Warm Wood Tones and Stonework Interior. 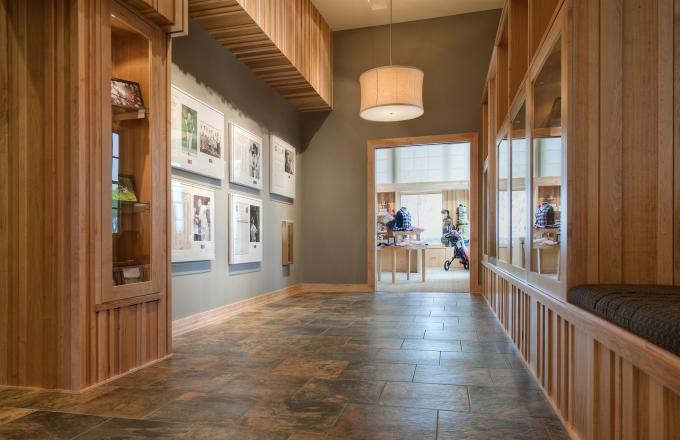 Hazeltine has seen many events such as the US Open, US Women’s Open, Senior Open and the PGA Championship through the years, and is now ready to host the 2016 Ryder Cup with updated greens on the championship course, and a new clubhouse. 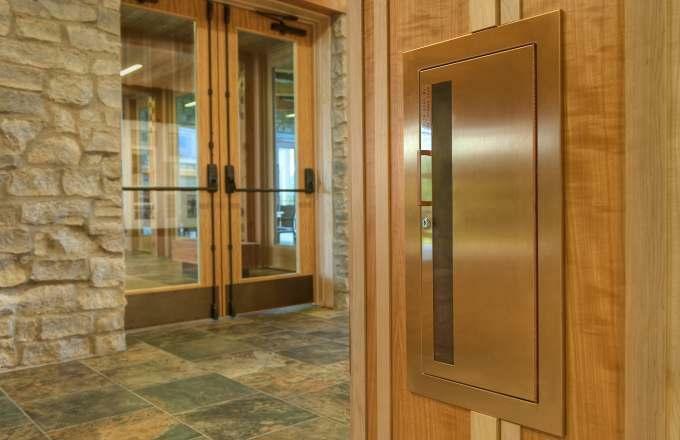 The new, three story facility features an event center, multiple dining areas, a bar, and a golf shop. 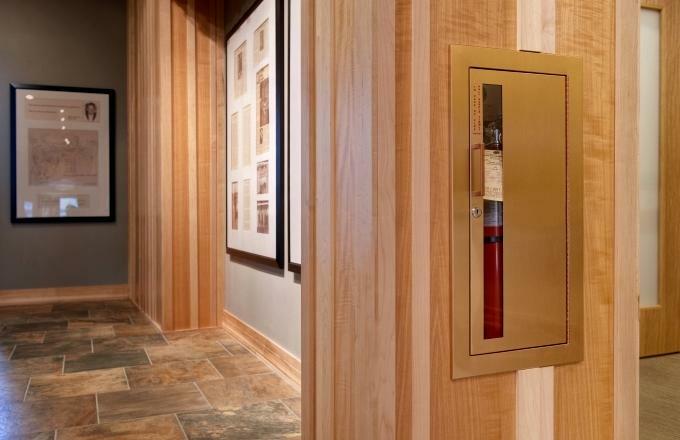 Architect Yunker Associates and interior designer Gunkelman’s incorporated design elements including timbers from the original building, natural maple woodwork, slate floors, stone sinks and fireplaces, bronze fire extinguisher cabinets and features photographs and mementos from past golf events. 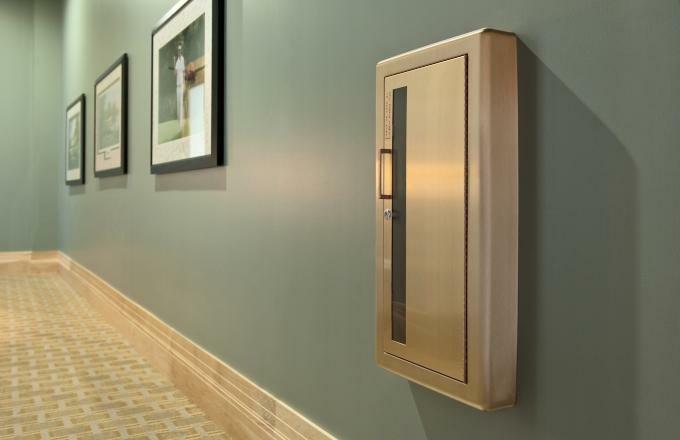 Selection of JL’s Cavalier Model 1045 fully-recessed and Model 1047 semi-recessed fire extinguisher cabinets in US10 satin bronze with matching bronze pulls was in keeping with the warm natural wood and slate colors used throughout the facility. 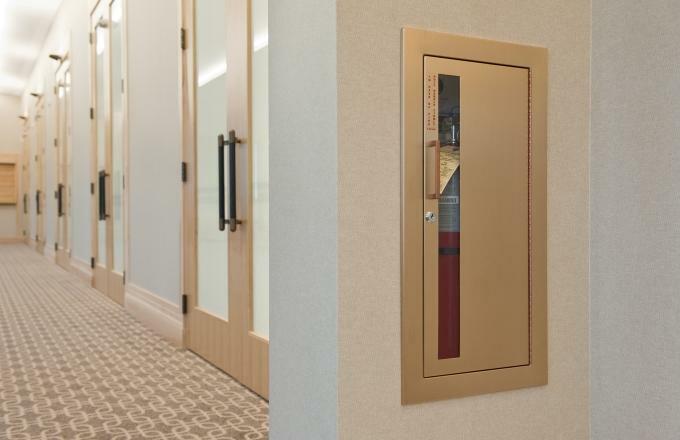 By selecting models with JL's exclusive SAF-T-LOK feature, cabinets are tamper-resistant appearing to be locked, however, a sharp pull on the handle can open the cabinet for extinguisher use. View 5 More Photos On the Tabs at the Left to see how the cabinets integrate into the total design concept. For more information about Cavalier - Click Here.